This year’s World Water Day is taking on a broader theme than years past: sustainable development. The theme makes sense as two major international processes – the drafting of the Sustainable Development Goals to replace the Millennium Development Goals, and the most anticipated UN Climate Summit in years – are taking place in 2015. Decisions made over the next nine months will play a huge role in relationships between nations and global development priorities going forward. It also gives us a chance to reflect on how transdisciplinary water issues are. Just as the subthemes of this year suggest, water is a critical component of urbanization, energy, industry, food, equality, the environment, health, security – essentially everything. Over the last year, New Security Beat has published a ton of posts highlighting water’s role in these critical and myriad fields, from India’s “choke point” struggles and China’s growing middle class to “water wars” in the Middle East and how population dynamics affect scarcity in Nepal. 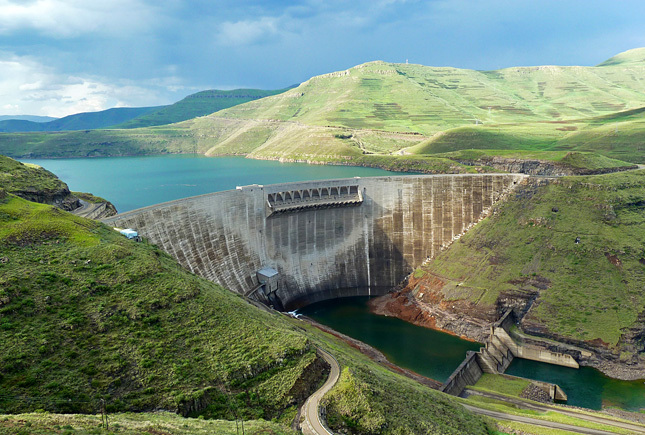 Photo Credit: The Katse Dam in Lesotho, courtesy of flickr user Damien du Toit.